The second leg of the 2013 season’s overseas tripleheader will kick off tomorrow at Phillip Island Circuit, one of the most characteristic and striking destinations of the MotoGP World Championship. Located in the Australian region of Victoria, the track was built in 1956 and has been a fixture on the calendar since 1997. The 4.448 km (2.764 miles) circuit features a series of wide, fast turns, interrupted by two small hairpins that are often the scene of exciting overtaking, while the 900-metre downhill front straight makes for very high speeds. This facility hosts not only the annual Australian Motorcycle Grand Prix, but also the World Superbike and Supersport Championships, in addition to many Australian and international four-wheels competitions. 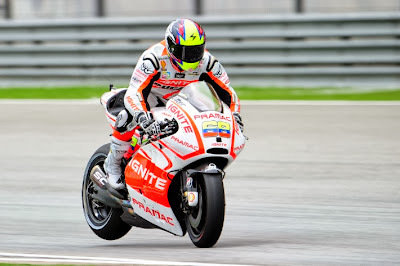 Andrea Iannone, who finished third at Phillip Island during his first year in the Moto2 class, is more determined than ever to continue with the direction taken during the Malaysian weekend and is now preparing to take on this new and challenging trial. Yonny Hernandez will be facing the Phillip Island track aboard a MotoGP prototype for the first time, as the Colombian was forced to interrupt his 2012 season at Sepang due to a crash at Motegi that fractured his left clavicle.